GUY FAWKES! iz my hero! This guy might be dead. I was considering that, and then I noticed that there have been exactly 187 votes upon my writing of this comment. There's just something eerie about this photo. 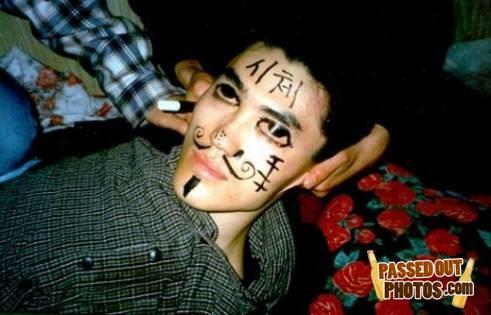 Please translate the characters on his brow.